You may not know this, but our daughter Felicity’s middle name is Snow. Why? 1. First and foremost, because ***snow is my favorite! *** I’m part Christmas Elf. I love snowfalls, snowflakes, snowmen, snowball fights, and pretty much anything else to do with the white stuff. 2. 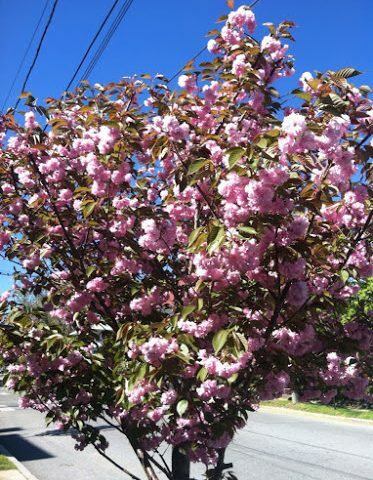 I was pregnant with my daughter during the snowiest winter on record in Rhode Island. 3. Snow makes me happy, and with her first name, Felicity, actually MEANING happiness, we couldn’t find a better fit. Basically her name translated to me means: Happy Happiest thing ever. So now that I have a daughter, I am no longer a princess in my family. My status has been upgraded to Queen. And while I may not be like the Evil Queen in Snow White, I do want to feel like I am the fairest in the land…occasionally. 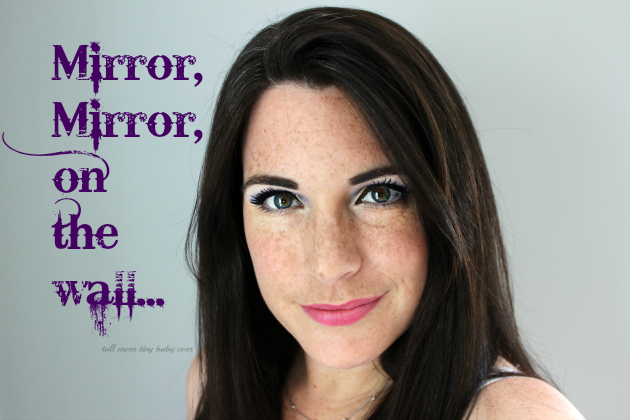 So in today’s post, I’ll show you how I created a pretty eye makeup tutorial, based upon the colors and magic of the Evil Queen. I love dressing up as movie characters, and doing makeup like them. 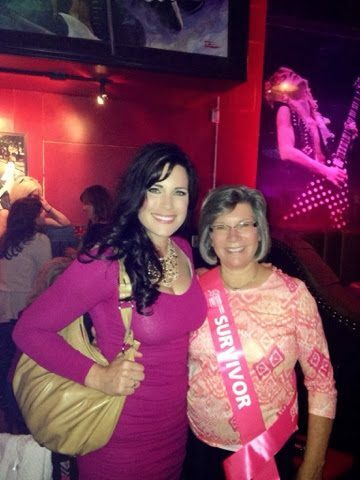 Before having my two babies, I would even get super dressed up for movie premieres. I’ve actually never dressed up like a Disney Princess. I have, however, dressed up as the Evil Queen before for Halloween. I’ll be honest with you, most days I am lucky if I get in a five minute shower. I’m usually wearing a breastmilk stained shirt, and my hair is in a messy ponytail/bun. I don’t feel like the fairest in the land by a long shot. But I have been feeling particularly down about my appearance recently. My postpartum belly is saggy, my stretch marks are pretty severe, and I’ve started to lose my hair. Now I’m not complaining, because I am totally okay with the fact that my body has had to undergo a pretty severe transformation to give birth to my little lass, our princess. But my five year anniversary is coming up, and I want to feel pretty that night. I especially want to play up my eyes. 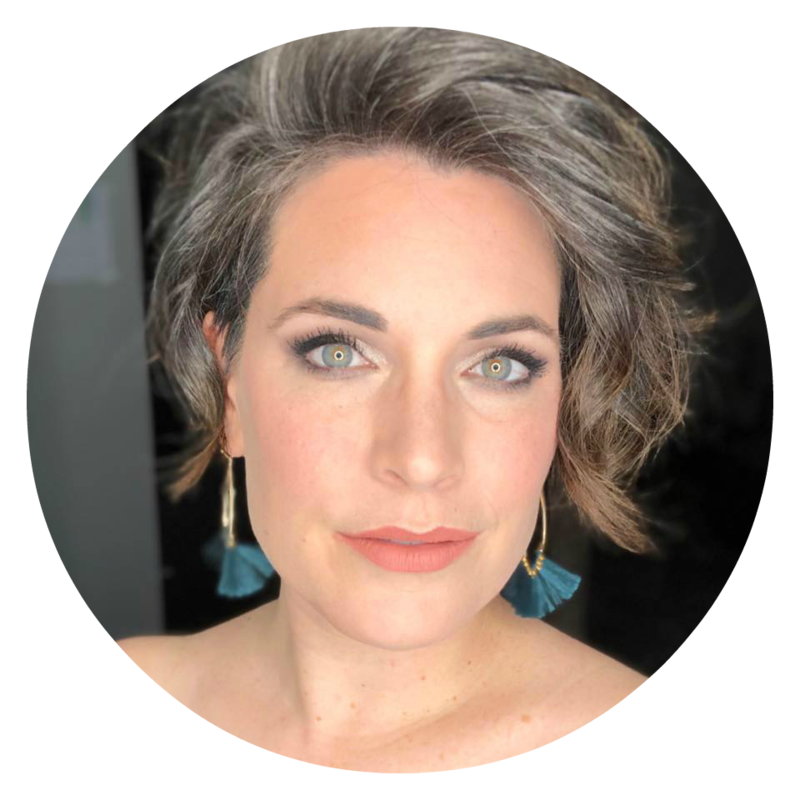 So I turned to my favorite inspiration for makeup – movies! Well my newest inspiration came from a movie that is premiering on the Disney Channel on July 31st called “Descendents“. It’s all about the children of some of our favorite Disney villains – Maleficent, Jafar, Cruella de Vil, and the Evil Queen. The movie looks really fun, and supposedly is going to have super catchy songs in it (think back to the Disney Channel’s big hit – High School Musical! I still know the dance moves to “We’re All In This Together!”) Malificient is played my one of my favorite singer/actresses, Kristen Chenowith. There is even going to be a hip-hop a cappella to Alan Menken’s classic song, “Be Our Guest”, from Disney’s Beauty and the Beast. I’m pretty excited about this movie…can you tell? So inspiration hit me like a ton of bricks, and I knew I decided to go out to Walmart and pick up some new makeup. 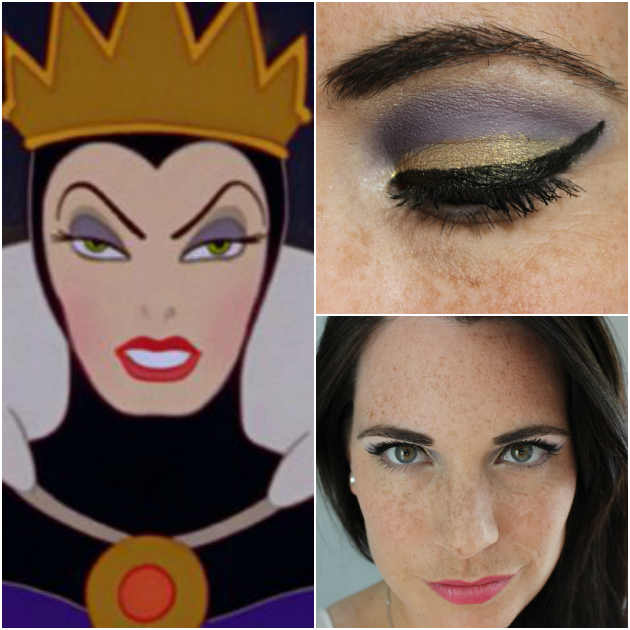 I recently watched Snow White, and wanted base my eye makeup look upon the Evil Queen. 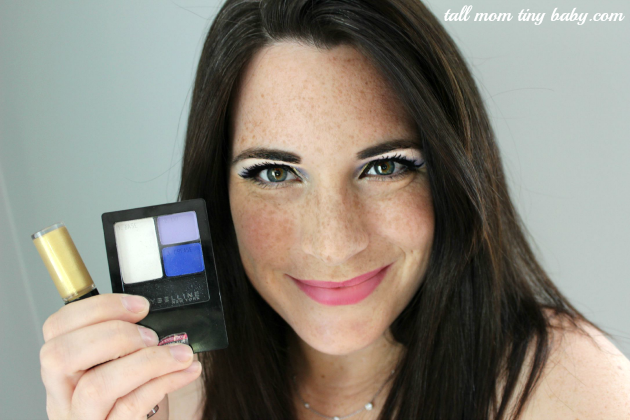 This look will be especially good for women who have blue or green eyes (like the Evil Queen’s herself!) – but could easily be accomplished with any color. I loved the deep lavender and dark purple crease line in her makeup, as well as her fully filled eyebrows. I wanted to add something else to her look, something magical! So I found some super sparkly gold eye shadow that really helped make my eyes POP. Step 1: Start with a clean face. Step 2: Prime eyelids with eyeshadow primer – this will help your look stay throughout the day, and will also help your colors be brighter. Step 3: Use a highlight color underneath your eyebrows to show eyebrow definition and to frame your Evil Queen eye makeup look. I also put some white shadow near the tear duct area of my eye. 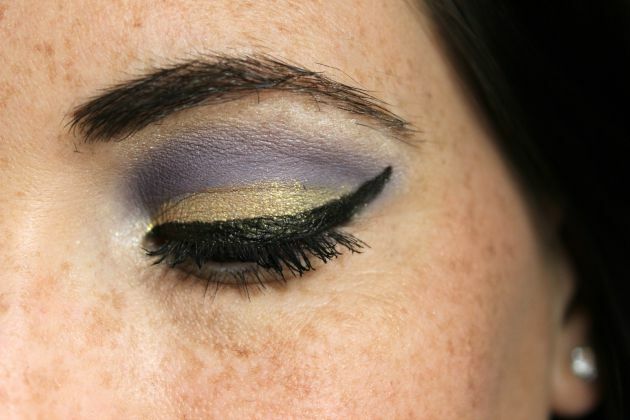 Step 4: Sweep lavender colored eyeshadow in the crease, and your lid – making sure to keep the white area white. Blend so that there are not any harsh lines. Step 4. 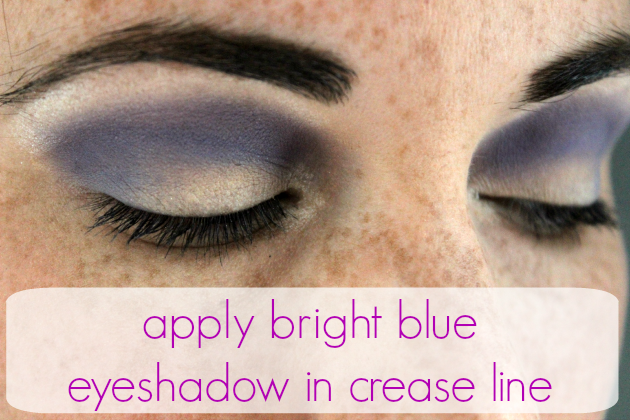 Take a dark purple or even dark blue color eye shadow and put it directly on your crease, as well as towards the end of your eye – creating a V effect. Blend. Step 5: Are you ready to make some magic happen? 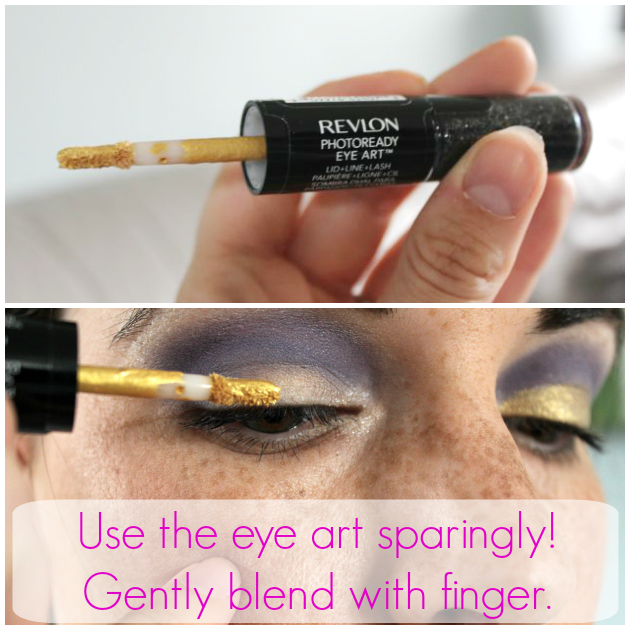 I chose the Revlon Photoready Eye Art as my sparkly gold shadow – but there are several other gold choices at Walmart. Pick whichever one suits your fancy and get ready to make your eyes shine! A little goes a long way with this particular makeup, so I dabbed three dots on my eyelid and them used my finger to help place it all over my bottom eyelid. 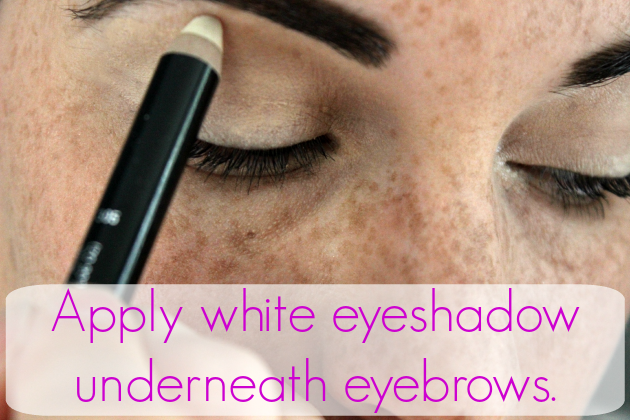 This makeup is a bit sticky and dries quickly, so work fast, and don’t worry about blending. 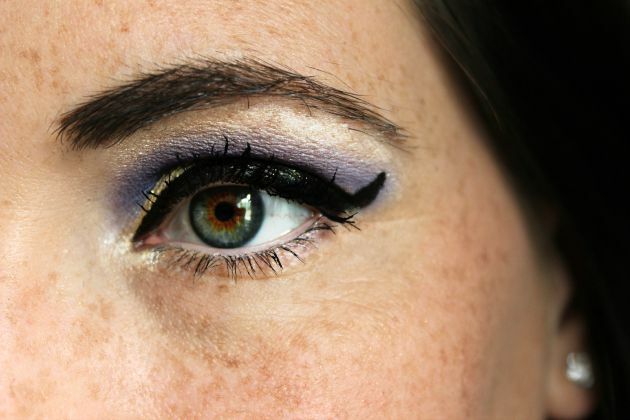 Step 6: Add a thick winged cat-eye with black eyeliner, and add a couple of coats of mascara. And there you have it! 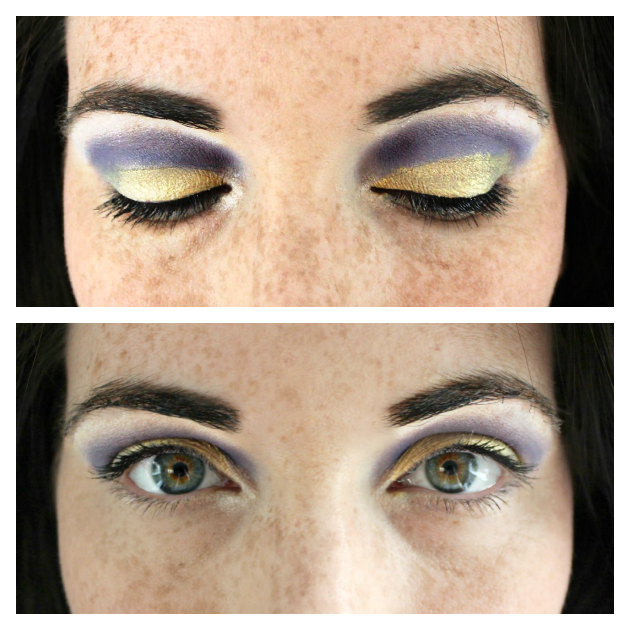 An Evil Queen eye makeup inspired look! As you can see, the gold ads that little bit of magic to eyes. 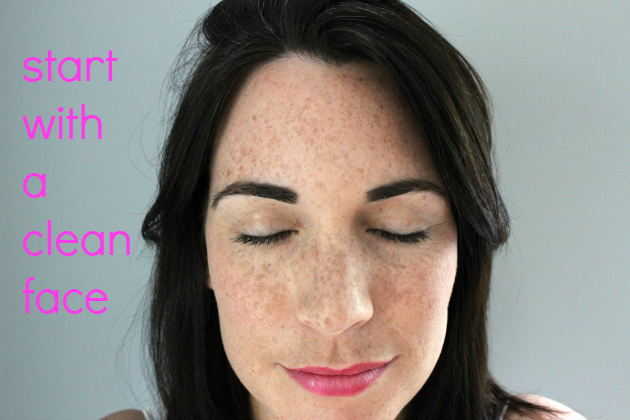 I hope you find some time this week to do something fun for yourself – even if it’s makeup! Is there any other movie or TV character who you’d like to see me do an eye makeup tutorial for? Or listen to our FREE Podcast – ParentCast – dedicated to New Parents, New Babies, and their New Adventures together! You look gorgeous. Those colors are really cool. I must share this with my girlfriend! 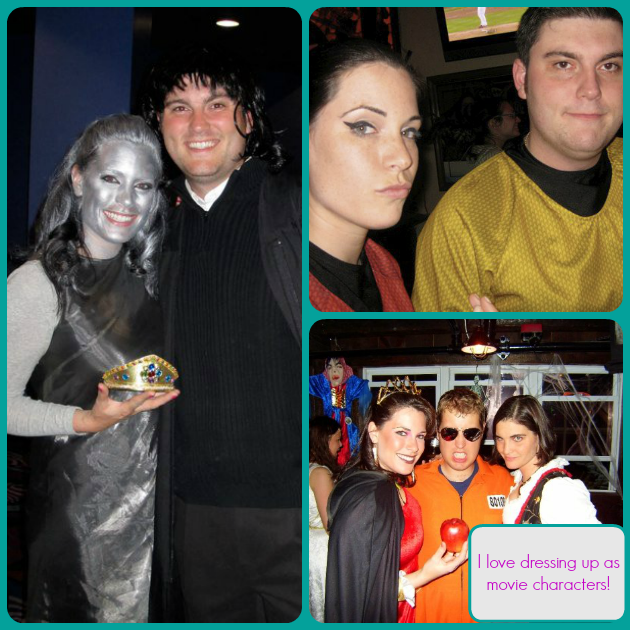 I admire your enthusiasm for dressing up, of which, I was always too shy. This make up tutorial is just fantastic! Would love to do this for halloween. I am hosting another block party in October on Halloween. It will be fun! Looks gorgeous, just might do this for Halloween! That looks beautiful! What a fun custom. I love how you used the gold here- this is such a dynamic look, but not over the top or too costumey! I can't wait to check out the Descendents show on Disney, it sounds like something the tween and I could really connect over. Thanks – I was really impressed by the gold as well. Just enough – and something I could wear out! I love this look. I think it would be cute for every day wear, too. Wow that looks great! You have a gift, I am horrible at make-up. This looks so good on you. I love the colors on you. It is so fun to dress up. Love how you came up with your daughter's name! Felicity Snow sounds like an awesome name! Killer make up too! So wish I could pull off a look like that! 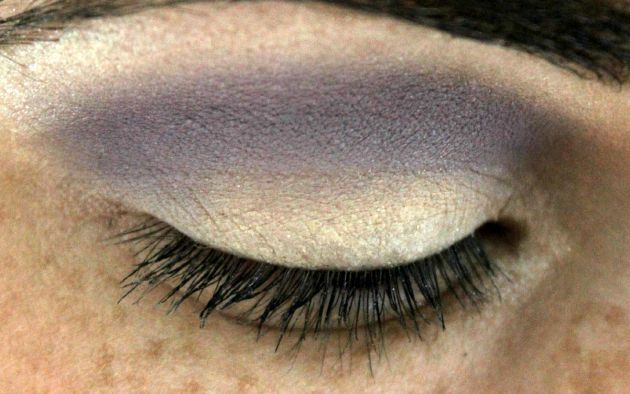 Ok, now that is such a cool eye makeup look! I want to try it now! Seriously I just love the look! And it's even cooler that it is linked to the evil queen! Aw thanks Amber! You should totally try it – it looks great under glasses too! Your makeup looks incredible! 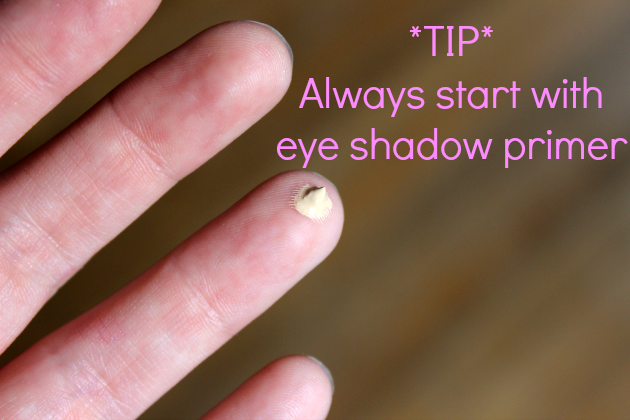 I am going to have to remember this for when I want to glam up my eyes! It looks fantastic! Man, I wish I could apply makeup that beautifully! That is such an awesome look! It looks great on you! Wow, awesome tutorial! I can't wait for the descendants movie! hey hot mama! i love to put on a full face and hang out in my *mom gear* all day. lol. this is great…maybe i'll go for this look for our halloween party. i love it! You are gorgeous!! I love this tutorial – you make it look SO easy! Love how you broke down the steps. I might actually be able to do this successfully! I love the way your eyes turned out. So beautiful. WOW – that is pretty cool I absolutely love the result! Yes on seeing this post itself I feel that it is as look like evil queen. Similarly i want to know some more type of makeup.